As the author of thirteen murder mysteries and counting, and a literary agent who represents a number of mystery authors, I keep a list of “musts” for writing a compelling mystery that really holds together. Build all of these points into your mystery novel and your book will be stronger for it. Make sure your sleuth has a compelling reason to want to solve the murder. Mysteries always work best when the sleuth has a strong, preferably personal reason, to want the murderer brought to justice. For instance, in my first mystery, Missing Marlene, Jane Stuart wants to find out who killed her son’s live-in nanny. In my mystery Evil Justice, sanitation supervisor Anna Winthrop wants to find out who killed a member of her crew because another worker, who she knows to be innocent, has been arrested for the crime. It’s not enough to say, “These are amateur-sleuth mysteries; that’s what she does.” There’s got to be good reason. Make sure you have enough suspects. You can’t keep your readers guessing unless there is a large enough selection of suspects to choose from. Having too few suspects also makes it difficult to complicate your plot as you should. Remember that suspects can be either people your sleuth suspects, or people your sleuth isn’t considering but whom your readers will suspect because of clue’s you’ve dropped. Make sure each of your suspects had motive, means, and opportunity. This sounds obvious, but be sure to give each of your suspects a compelling reason to have wanted the victim dead. Also make sure this person could have done it, physically; i.e., was he or she in the right place, and at the right time. Place your sleuth in danger. Feedback from my readers has taught me that they most enjoy books in which the sleuth, as a result of her snooping, is put in danger, usually from the murderer who doesn’t want to be exposed. Many writers skip this element, but I think it adds a lot. Teach the reader something new. Set your mystery in an industry or place readers may not know about. My Jane Stuart and Winky mysteries are set in the world of publishing and literary agents. My Hidden Manhattan mysteries feature little-known places in New York City, and also provide a lot of inside information about the sanitation industry. Put in some really good twists. Readers love to be shocked. So at least three times in your story, spin your story in a new direction by inserting a shocking revelation or development. (Spoiler alert:) In Missing Marlene, I reveal that a murdered woman Jane thinks is Marlene isn’t Marlene at all, but her best friend with whom she traded places. Mysteries aren’t overly long in terms of word length, so you really can’t afford to be leisurely with your writing. Keep the story moving by having a lot of actual plot action and not so much introspection and reacting to things. My trick is that I write nearly all of my novels in direct action rather than summary. The classic Agatha Christie ending, in which Hercule Poirot or Miss Marple assembles everyone in the drawing room to explain exactly what happened and then unmask the murderer, won’t work nowadays. I always like to make the revelation of the killer a dramatic climax, sometimes putting my sleuth in jeopardy. At the end of my mystery Death is Disposable, the murderer chases Anna through the abandoned subway tunnels under Grand Central Station in order to ensure her silence. Once the mystery is solved, wrap things up quickly. Once the murderer has been revealed, that’s pretty much the end of the story. Use the pages after the climax to do any leftover explaining, tie up any hanging threads and, if there’s a romance thread, bring your lovers together. These aren’t absolute laws. They’re ways I make sure my books are page turners that keep readers wanting more from me. Try some or all of them and your amateur-sleuth mystery will be better for it. Evan Marshall is the author of a number of popular mystery novels; recently released in his Hidden Manhattan mystery series are Death is Disposable and Evil Justice, with Dark Alley coming in December 2009. He is also the president of the Evan Marshall Agency, a literary management firm specializing in fiction. 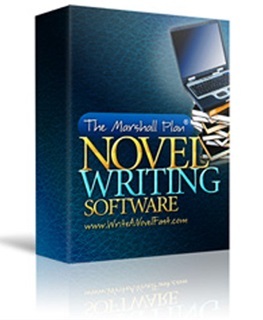 Recently he and coauthor Martha Jewett released The Marshall Plan® Novel Writing Software, based on his bestselling The Marshall Plan® writers’ guides. Learn more about his mysteries at http://www.evanmarshallmysteries.com , and visit his blog for writers at The Marshall Plan.